Rich, warm wall lantern suitable for coastal locations. 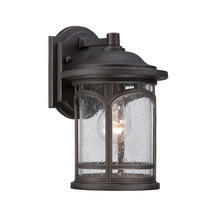 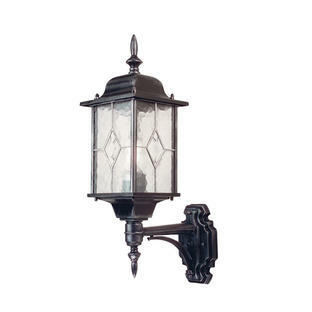 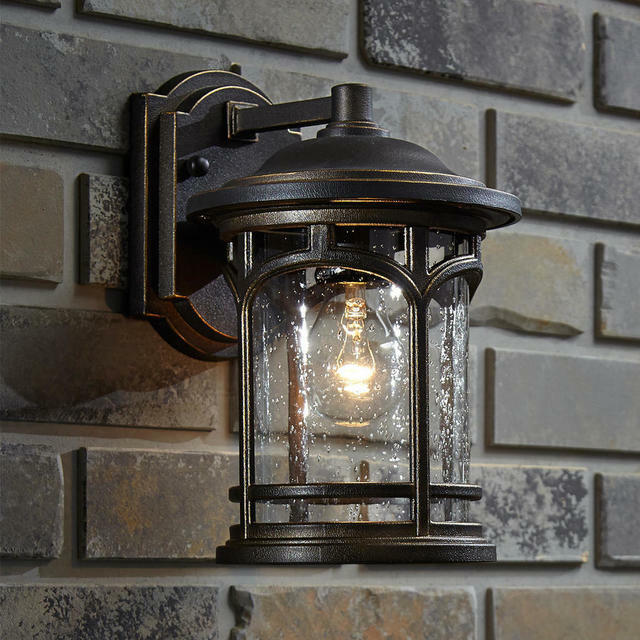 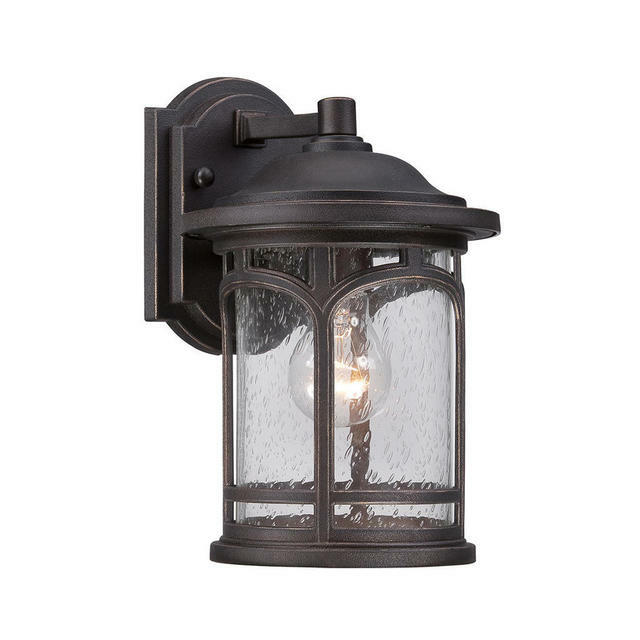 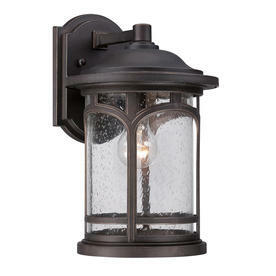 Marblehead is a rich outdoor wall lantern in a Palladian Bronze finish. 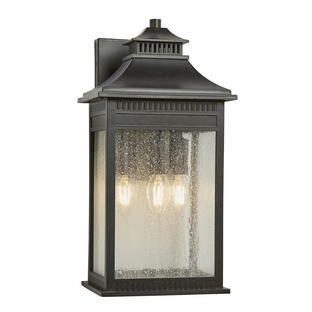 The stately form of the metal arches gives the clear seeded glass a gothic window like appearance. 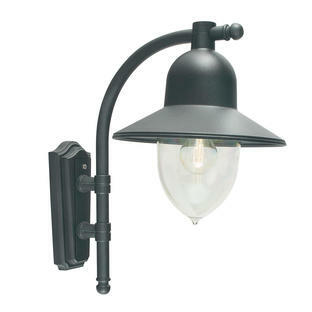 Made from a new weather resistant outdoor composite material. Finish with a traditional Edison style bulb to complete the look.